175 Greenwing Trail #175, Titusville, FL.| MLS# 836635 | Free Brevard County MLS Home Search. No Agent Needed. Daily Auto-Email Listings of All Brevard County Homes and Listings For Sale That Meets Your Home Buying Criteria. Brevard County Real Estate Market Information. 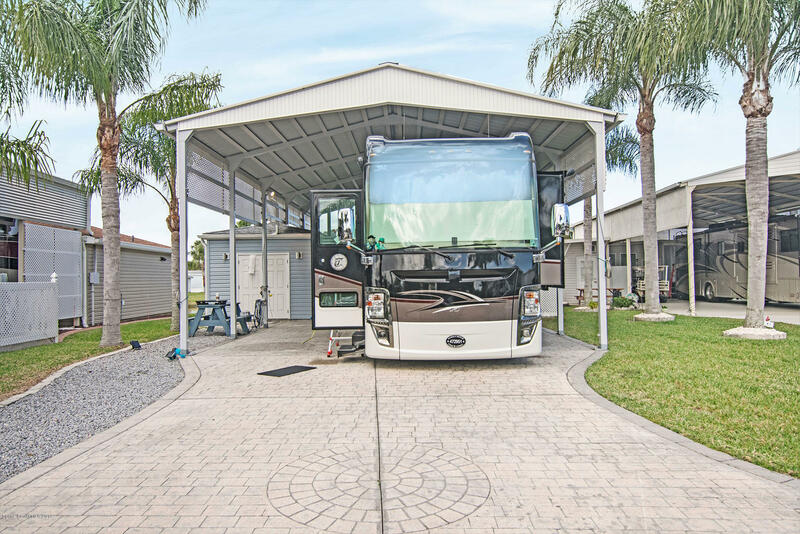 This beautiful RV Lot with Executive Suite has it all. Amazing Lake views from a gorgeous executive suite with full kitchen, bath & bedroom. Granite countertops and all stainless steel appliances. Separate laundry. New roof and AC. Separate golf cart garage. Full property storm shutters and all glass windows. Decorative driveway with professional landscaping. This property is in immaculate condition. RV Port 45 FT x 25 FT.